Experience the splendor and adventure of the Southwest while based in historic Downtown Durango, Colorado. Located one and one half blocks from the Train. Durango Landmark is a Queen Anne Victorian Bed and Breakfast. Listed on the National Historic Register. A quiet, intimate setting yet only a 4 minute walk to downtown! Stay with us at our Historic Hotel in the heart of downtown Durango. Enjoy your vacation in SW Colorado while lodging at a distinctively unique Four-Star hotel. 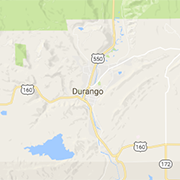 Have a classic Durango adventure while nestled in the Animas River Valley. Watch the train, explore the river, and enjoy family activities--and that’s just from the doorstep!